Discover Luckyland, where it takes a fistful of bad to do a whole lot of good. 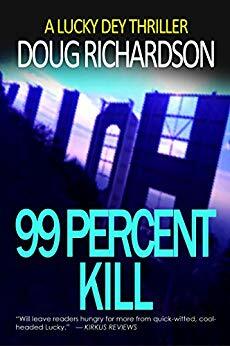 In this hard-hitting series, L.A. cop Lucky Dey fights crime and corruption from the gutters of Compton to the peaks of the Hollywood Hills, exacting justice for the downtrodden and forgotten. Fans of Dirty Harry, Mitch Rapp, and Joe Pike can’t get enough of Lucky Dey. Free on Kindle.